I skip creating of new project I tested one problem. 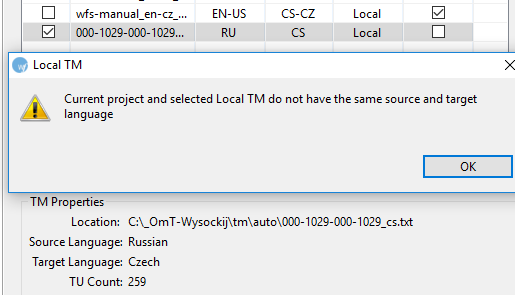 I add TM (I import TMX) into wrong project. In menu, in Translation Memory is an item New/Select TM. I toggled source and target languages. 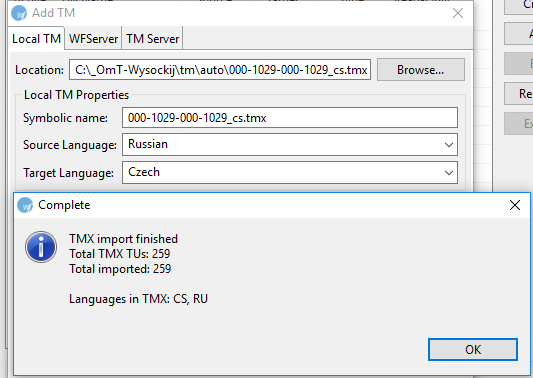 In TM List: Create TM, Add TM, Edit TM, Remove TM, Export TM. New files created by WFP3 have red colour. TM: txt file; Index: jtx, lock.